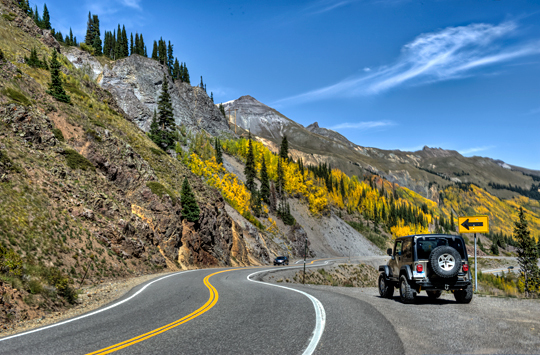 The drive from Ouray to Silverton Colorado is always a jaw-dropper along the “Million Dollar Highway.” We were treated to an exceptional ride this morning as the fall foliage is “early” this year. 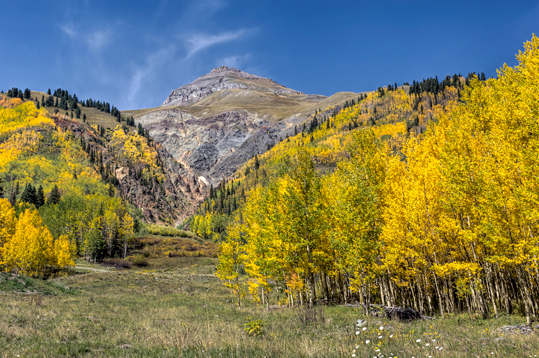 The aspens in the mountain passes were a neon yellow. 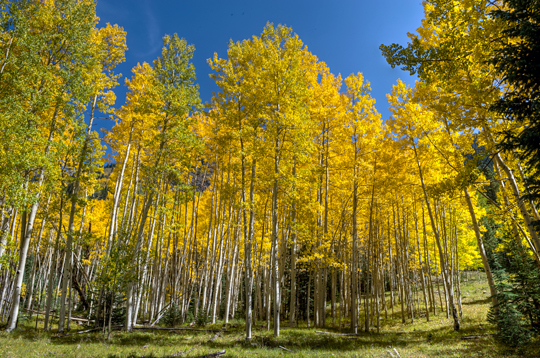 This lovely group of aspens where found near Ironton Park at 10, 656 ft elevation. The drive does not contain a straight stretch of highway or any guard rails. The Million Dollar Highway was an old toll road built in the 1880’s by Otto Mears. Just beyond the pull-out for Bear Creek Falls, Otto set up his tollgate at the narrowest point in the “road”, to collect his $3.75 for each vehicle. The view looking up to Tico Peak. 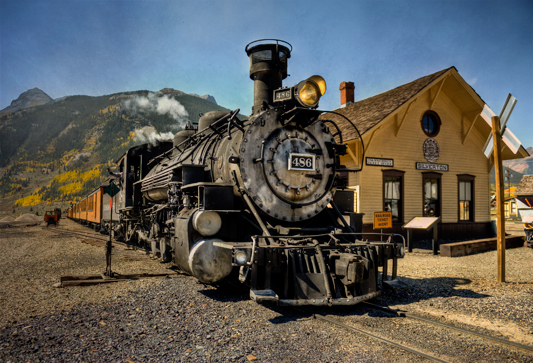 No trip to Silverton would be complete without a steam train shot as it passes the Silverton Train Station with 12 cars of tourist.